Who said sparkly holiday decorations were only fit for the tree? Get the most of both worlds with Smashbox’s Be Legendary Liquid Metal. 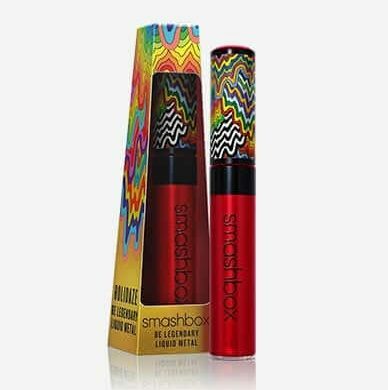 It features a festive metallic red that delivers the full-coverage of a lipstick with the high-shine of a gloss in a single coat. We collaborated with L.A. artist Jen Stark to bring you this collection of hypnotic gifts. They’re designed to inspire fun, creativity and mesmerizing new looks!